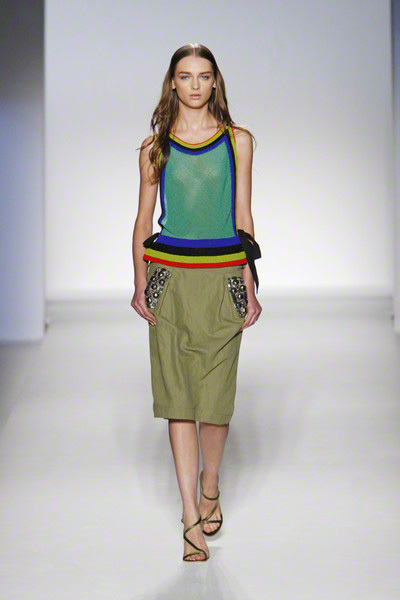 At Ferretti we saw sheerness in all kinds of places, shapes and sizes. 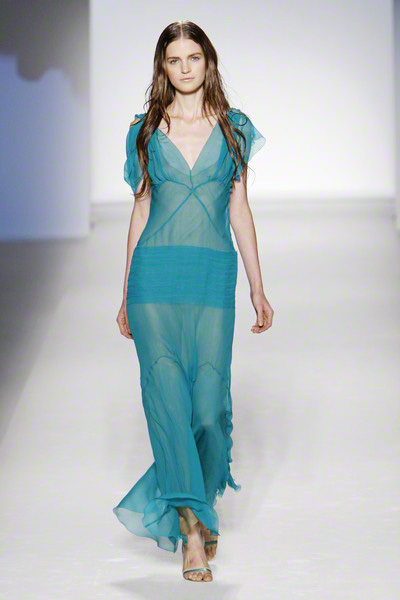 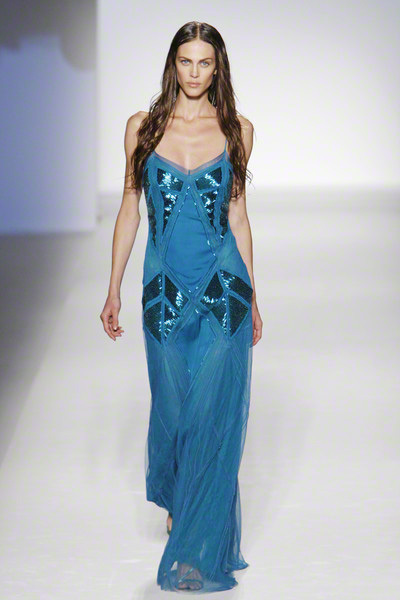 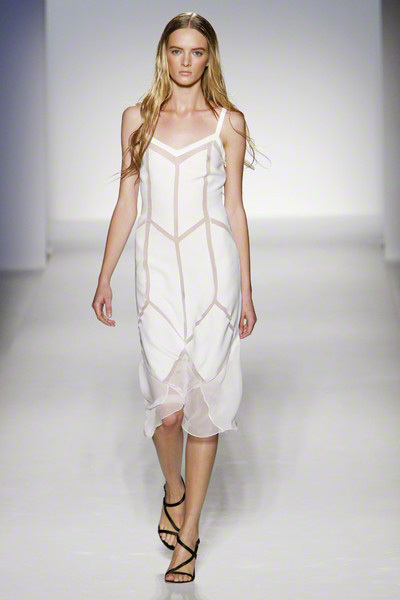 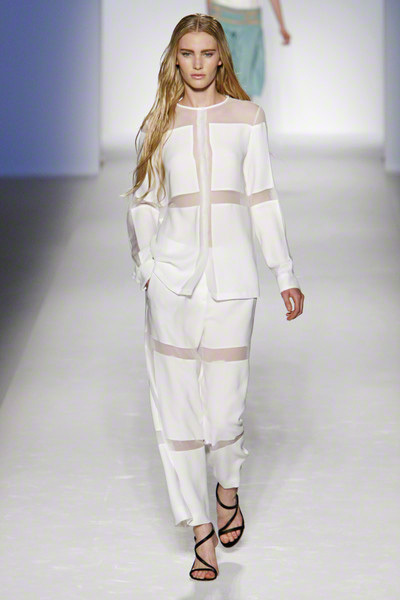 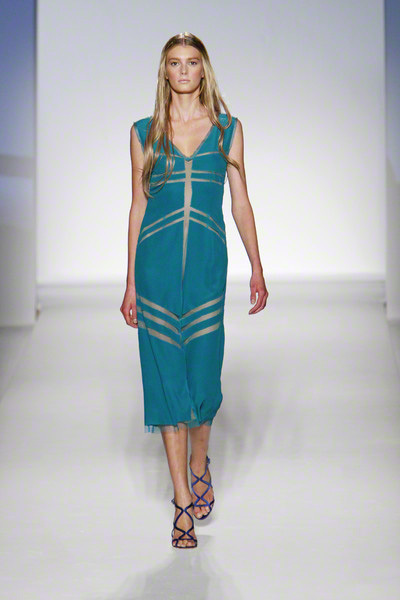 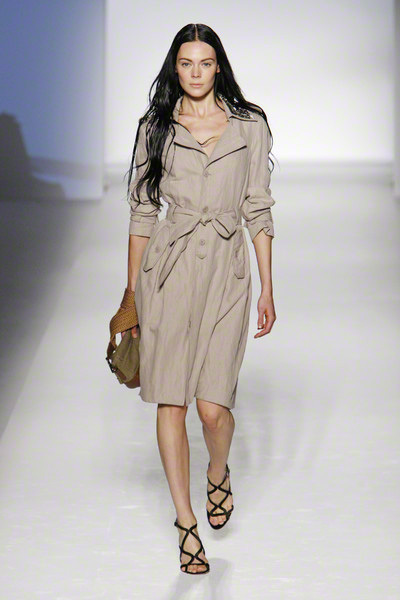 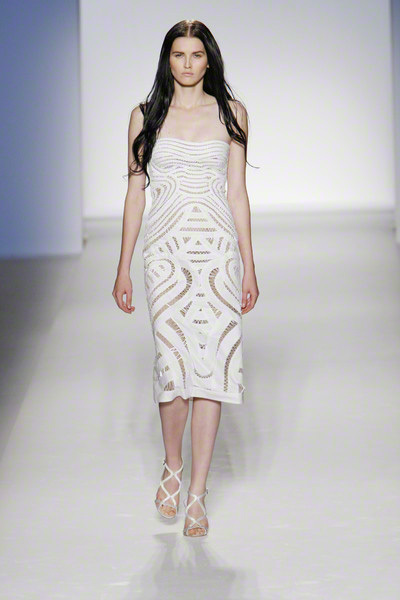 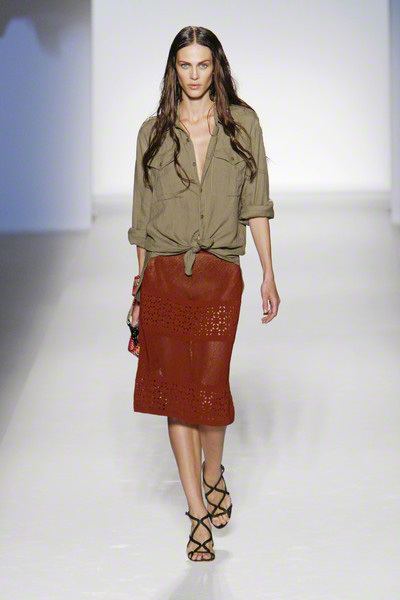 Yet it was never overdone, it appeared subtle and sophisticated, like you’d expect from Ferretti. 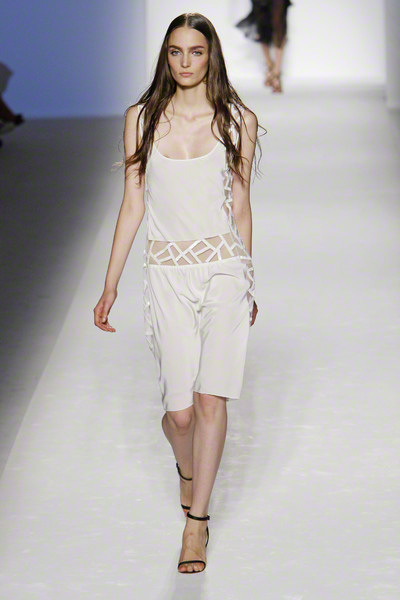 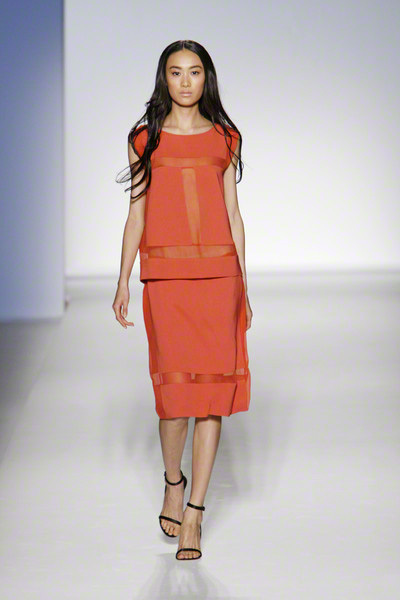 The designs looked a little more sporty and minimalistic than before and a little less dreamy, which felt good. 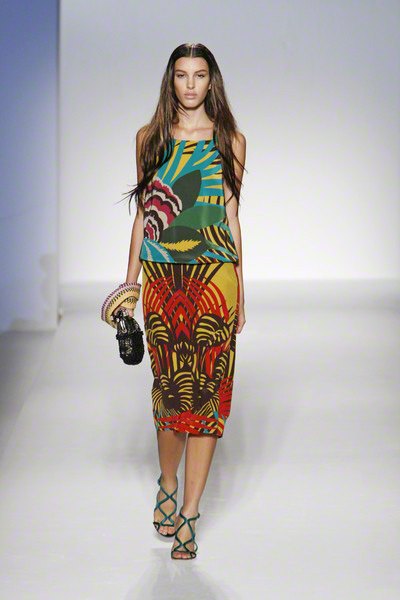 Due to the use of brights like tangerine, deep blue, yellow and turquoise the outfits seemed more modern and youthful too. 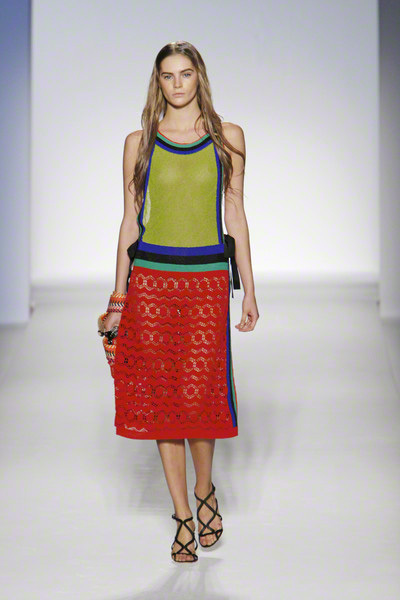 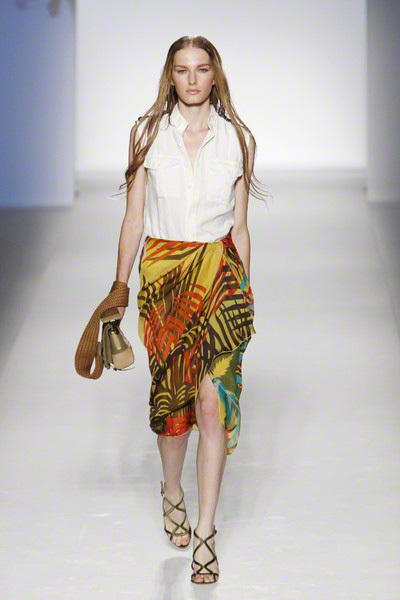 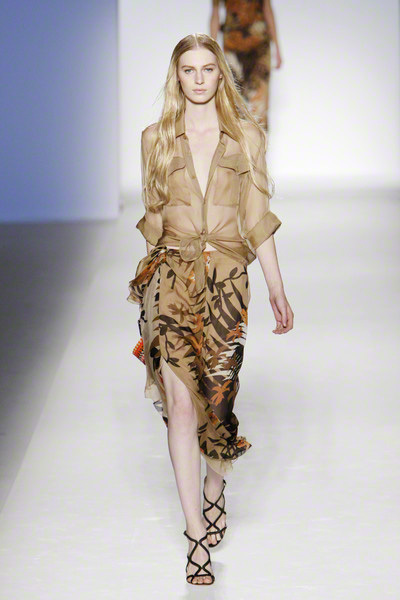 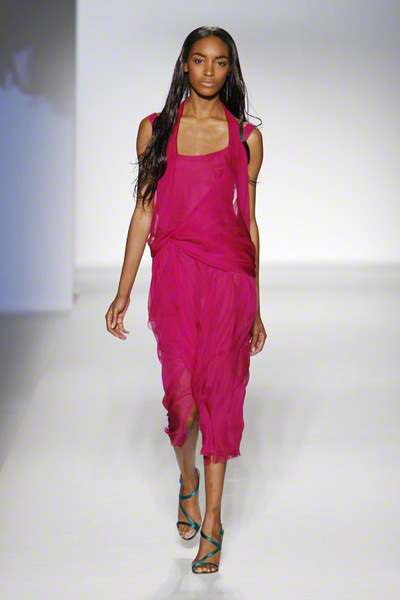 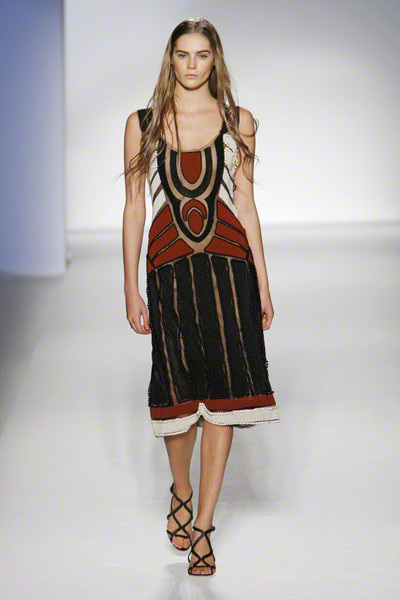 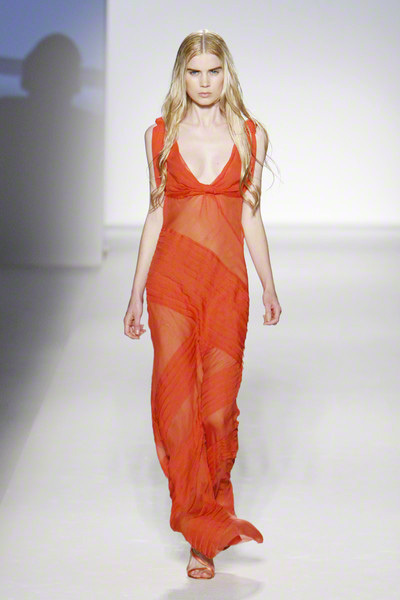 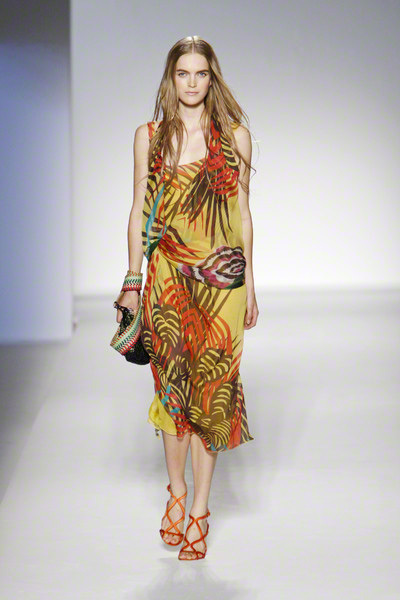 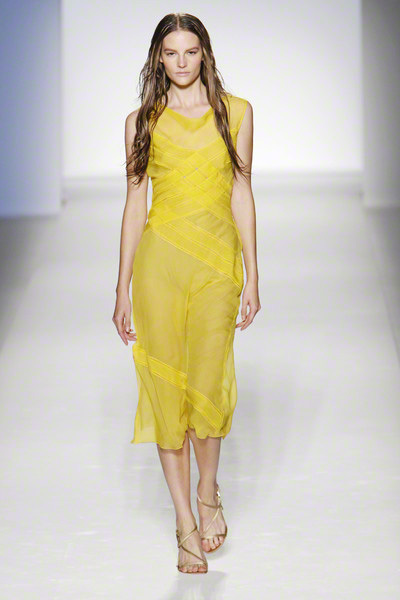 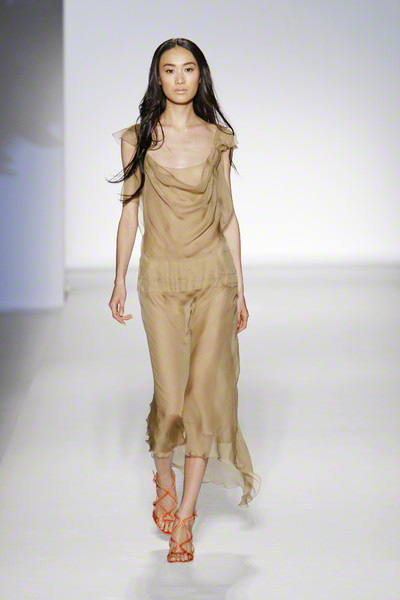 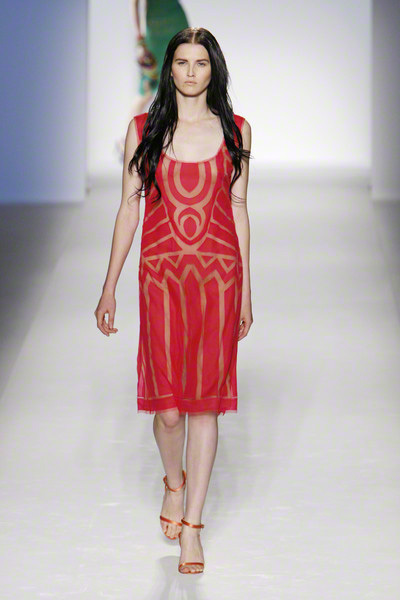 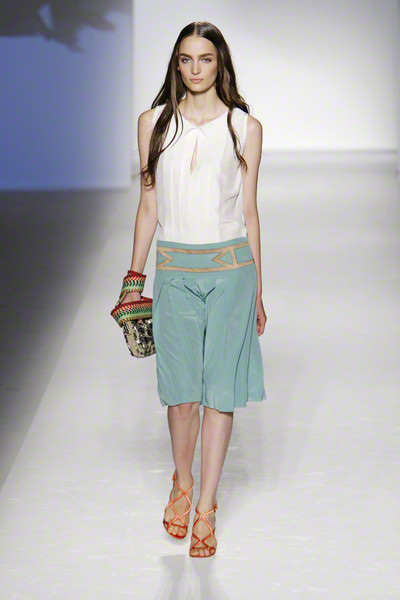 Exotic prints gave the collection a hippie kinda twist, yet Ferretti managed to still keep it very chic. 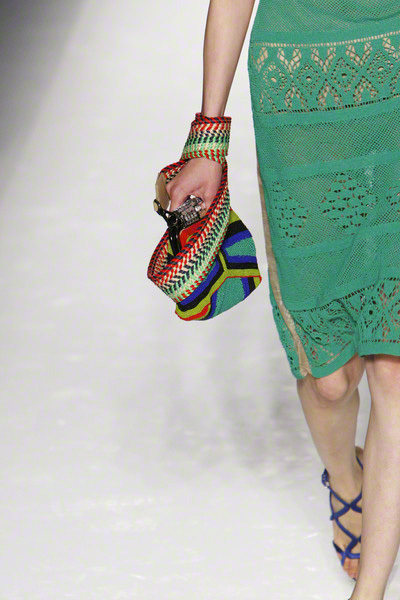 Apart from a few beaded bags the styling was as simple as it can be; no extreme make-up or hairdos, hardly any jewelry, not a lot of layering. 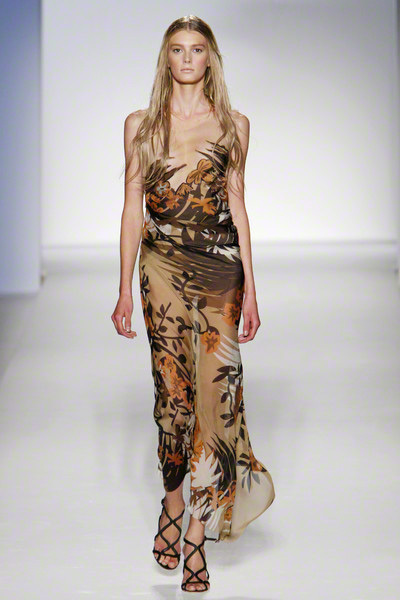 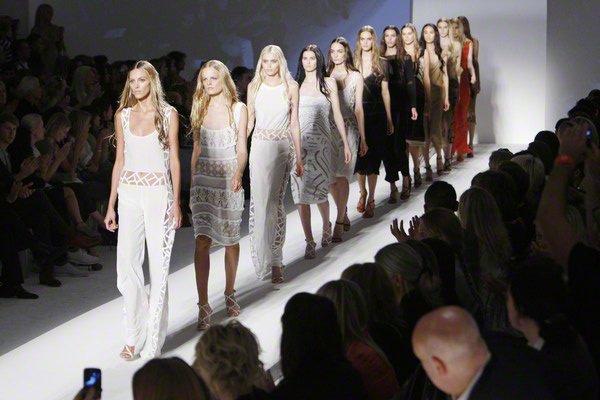 Ferretti let her ensembles speak for themselves and they sure spoke beautifully.